Learning Topics: Who? Method, Mona Liza, 7 Genius Habits, 2xBrain, Open, Experience, Body, Senses, Curious, Horse, Wiki + others. Use the Wisdom of that old Genus – Leonardo – to make your Business a Success !!! 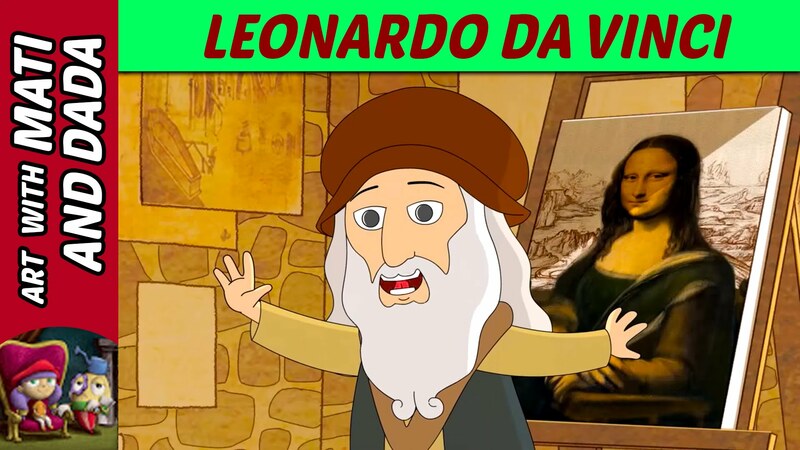 Who was Leonardo da Vinci? He was a brilliant artist, scientist, engineer, mathematician, architect, inventor, & even musician – an outstanding Renaissance man – head & shoulders above his peers. And he was also a profoundly modern man. Not only did Leonardo invent the empirical “Scientific Method? – over a century before Galileo & Francis Bacon, but that Author’s decade-long study of Leonardo’s fabled Notebooks reveals that he was a “systems thinker” centuries before the concept was a discovered & detailed learning experience. At the very core of Leonardo’s science, lies his persistent quest for understanding the nature of life. His science is a science of living forms, of qualities and patterns, radically different from the mechanistic science that emerged 200 years later. What was his Method? He saw the world as an integrated whole. Leonardo always applied concepts from one area to illuminate problems in another. His studies of the movement of water informed his ideas about how landscapes are shaped, how sap rises in plants, how air moves over a bird’s wing, & how blood flows in the human body was his learning. His observations of nature enhanced his art, his drawings were integral to his scientific studies, and he brought art, science, & technology together in his beautiful & elegant designs. 7 Defining Characteristics of Leonardo da Vinci’s genius includes a list of over 40 discoveries he made that weren’t re-discovered until centuries later. The Author follows the organizational scheme Leonardo himself intended to use, if he ever published his notebooks. So in a sense, this is Leonardo’s science as he himself would have presented it for learning. Obviously, we can’t all be geniuses on the scale of Leonardo da Vinci. But his persistent endeavor to put life at the very center of his art, science, & design + his recognition that all natural phenomena are fundamentally inter-connected & inter-dependent are important lessons we can learn from. By exploring the mind of the preeminent Renaissance genius, we can gain profound insights into how to address the complex challenges of the 21st century. Known for his mischievously smiling Mona Lisa, Leonardo was not only a great artist, but a scientist & inventor as well. His creative genius is chronicled through his Art & Journals and research reveals him to be a true Renaissance man and far ahead of his time, inspriring generations of creative thinkers, artists, inventors, and innovators. This engaging series is based on the 7 timeless principles explored in Michael Gelb’s How To Think Like Leonardo da Vinci: Seven Steps to Genius Every Day, that delves into DaVinci’s methods & habits related to his creative explorations & inventive accomplishments. Each installment offers practical advice on applying the principles modeled by DaVinci to help enhance the richness & effectiveness of your own creative life & learning today. Davinci made the most of using the left- & right-sides of his brain, inspiring today’s use of mind mapping techniques. Davinci’s genius was enhanced by his willingness to be open to anything by embracing ambiguity, paradox & uncertainty. Davinci jumped right into the moment of his experiences (where the real power of “now” is), challenging long-standing beliefs & opinions. Davinci knew his body was a strong house for his creativity and took care of it by practicing the cultivation of grace, ambi-dexterity, fitness, & poise. Davinci’s continuous refinement of his five (5) senses enhanced his ability to work & think. Davinci’s appreciation for the inter-connected-ness of all things enabled him to see and use the larger picture to his advantage. DaVinci cultivated an insatiably curious approach to life, reflected in his art & inventions. If you would like to get more acquainted with Leonardo da Vinci’s life & work, these online destinations offer interactive presentations & learning, rich visual galleries of his work, sketches, journals, & inventions. An interactive journey through da Vinci’s life (1452-1519) and works to discover what made him a true Renaissance man. Includes a picture gallery of famous masterpieces (including the Mona Lisa), timeline, + “free” computer Desktop Wallpaper to download. A nine-part Leonardo exhibit that includes a gallery, his machines in VRML, manuscripts, & an interactive movie on his Mechanical Weaving Loom. An info-rich resource from the Boston Museum of Science featuring four categories of da Vinci exploration: Leonardo at the Museum, Exploring Leonardo, Renaissance Man, & a Multi-media Zone. An encapsulated summary of da Vinci’s personal & professional life accomplishments including his paintings, inventions, & notebooks. Comments: What are your thoughts about Leonardo (da Vinci, not di Caprio) ??? For more Info, click on Learning, Book Review.